Do you want to know more about India’s Rail Heritage? Then you shouldn’t miss the National Rail Museum on your trip to Delhi. 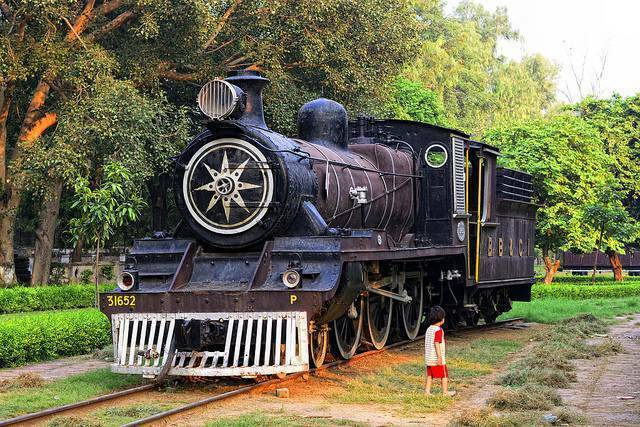 Spread across 10 acres, National Railway Museum of Delhi exhibits about 30 various models of locomotivs and carriages. Major attraction of Museum is Patiala State Monorail Train ways. This monorail which functions on single rail track was built in 1906. The Patiala Monorail was active up till 1927 and restored to working condition in 1967 and exhibited in this museum. Fairy Queen, an oldest working steam locomotive around the world can also be seen in working condition here. Locomotive saloon cars used by Prince of Wales, Maharaja of Indore, and Maharaja of Mysore are some of the other exhibits which enthrall the observers. Different models of steam engines, tramways and rail bus etc. are also displayed in this museum. There is also a toy train which takes the visitors for a tour.